This week’s video of the week is a double dose of doom and gloom. I mean that in a good way. In the near future I will have the pleasure of seeing Paradise Lost with special guest Insomnium. It just so happens, both bands released new videos and you can wrap up your week with them here. The double feature is Paradise Lost, Honesty in Death, from their forthcoming album Tragic Idol and Insomnium, Regain the Fire, from their current release One for Sorrow. 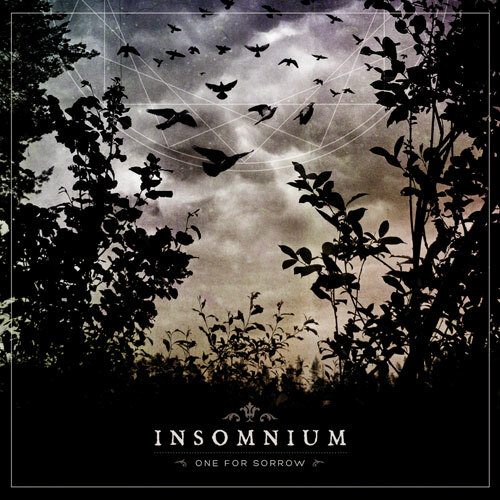 I am new to Finland’s Insomnium; I really like their blend of death metal and doom. One For Sorrow is the first album I bought from them and it has had regular play on my music playing devices. I think their appearance on the upcoming Paradise Lost will provide a harder edge compared to the more slow/doom that Paradise Lost has mastered over the years. This is Insomnium’s latest video. Enjoy! Tragic Idol is the new album from the U.K.’s Paradise Lost. Fans will be graced with its presence in April; just around the corner. Honesty in Death is their new video, another visually stimulating depiction to follow-up the more disturbing Faith Divides Us video from their album Faith Divides Us, Death Unites Us. Based on this video, it appears Paradise Lost is continuing with their trend toward the more heavy-doom style they started with many full-moons ago. I am definitely looking forward to the new album. Have a great weekend.